A lawsuit or (less commonly) “suit in law” is a civil action brought in a court of law in which a plaintiff, a party who claims to have incurred damages as a result of a defendant’s actions, files what is known as a “petition.” A petition demands a legal or equitable remedy. The defendant is required, after being properly served, to respond to the plaintiff’s petition. 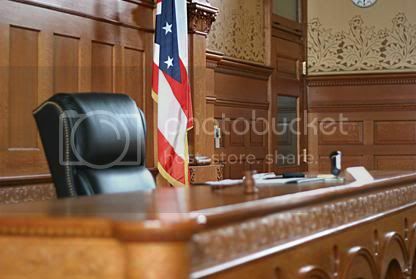 If the plaintiff is successful, judgment may be given in their favor, and a variety of court orders may be issued to enforce a right, award damages, or impose an injunction to prevent an act or compel the defendant to act. A lawsuit may involve dispute resolution of private law issues between individuals, business entities or non-profit organizations. The conduct of a lawsuit is called litigation. Litigation is the focus of my practice. If you facing any type of civil action, I can help. You need someone protecting your back. Let me put my experience to work for you. An encounter with law enforcement can affect your entire life. There are Constitutional protections that every American enjoys, and they must be protected. If you have been arrested or charged with any type of crime, it is imperative that you excerise your right to silence, and that you demand an attorney be present during questioning. I have the experience of being both a prosecutor and defense attorney. I know that you may have challenges to the evidence collected by the police. This suppression of evidence may result in a dismissal of your charges. Or, you may be able, through me, to negotiate an offer or "plea agreement" where you will most likely avoid more serious consequences. Each case is unique, and must be approached on its own facts. However, after thorough review of your specific facts, I will guide you to the best decision. Let me put my experience to work for you. Valid XHTML | Valid CSS | Copyright © 2014. Feeback Law Group, LLC. All Rights Reserved.